Ajaz Akhtar has joined Market Deeping. Local cricket legend Ajaz Akhtar is on the move again. The 46 year-old all-rounder has left Cambs League Division One outfit Ketton to join Lincs Premier Division side Market Deeping. The former Cambs captain left Peterborough Town at the end of the 2013 season after 28 years outstanding service but rumours of a return to Bretton Gate were today (May 26) dispelled. Akhtar said: “I will return to Town in the future but to play in the second team with the kids. 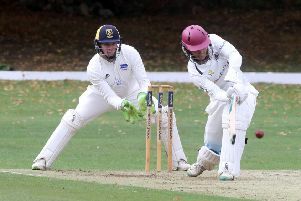 “But I feel I still have a couple of years left in me playing good cricket and just couldn’t see myself going back to Town to play in the Northants League. “So I’ve decided to play for Market Deeping for the remainder of this season, as a batter initially until I’m fit enough to bowl.